In addition to a year-round repertoire of performances in the theater, the Joy Performance Center can be rented for business meetings, seminars, catered meals, parties, receptions, and other functions. Utilizing our renovated balcony the theater seats up to 300 people in an elegant 1950's theater setting. Its newly installed lighting and sound systems allow for many types of events. The stage offers room for any event. 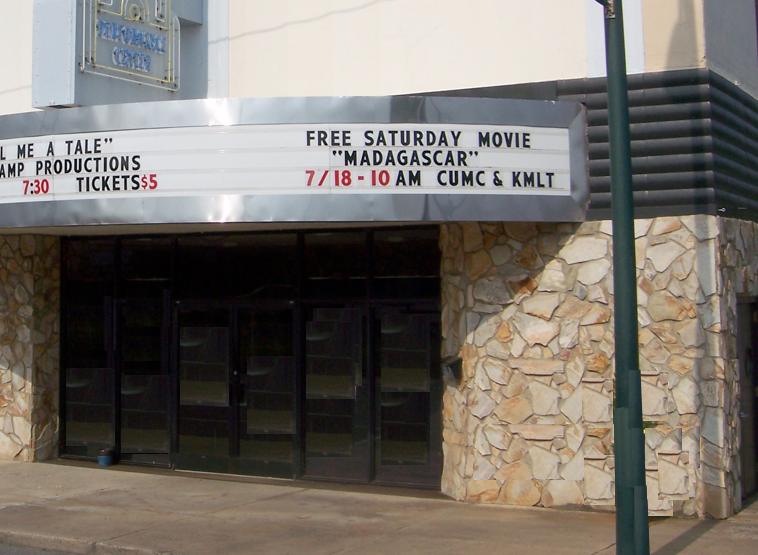 The marquee offers advertising for the event. The lobby has been used for catered meals, weddings, private entertainment events, and community gatherings. Tables and chairs are available. Kings Mountain Little Theatre, Inc. is a volunteer-based, 501(c)3 non-profit community theater. KMLT is funded in part by a Grassroots Grant from the North Carolina Arts Council, a state agency, and is a funded affiliate of the Cleveland County Arts Council.